The number of people admitted to hospital with influenza grew by 15 per cent this week despite an increased uptake of the flu vaccination of 28 per cent. 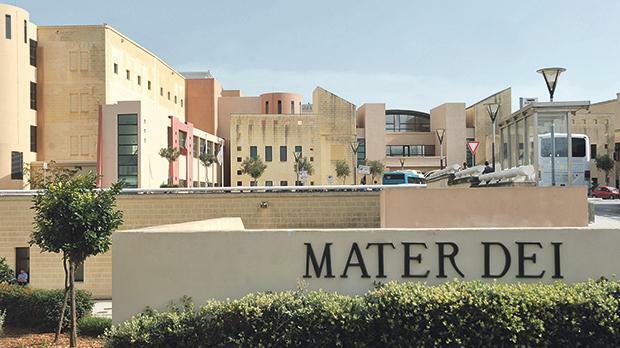 Hospital sources told Times of Malta the surge in the admission of people suffering from flu complications has stressed everyone out – from cleaners to consultants. According to early indications, patient numbers at the accident and emergency department had grown by 15 per cent over the last four days, compared to the same period last year, Mater Dei Hospital CEO Ivan Falzon said, when contacted. Health Minister Chris Fearne warned last October that this year’s flu season would be “harsh”, advising those most at risk to be vaccinated as soon as possible. According to data provided yesterday by the Directorate for Health Promotion and Disease Prevention, this year, Malta had a flu vaccination uptake record. A total of 90,677 people had got the vaccine so far, up 28 per cent (19,928) over last year. Asked about measures to accommodate more patients, Mr Falzon said that a number of wards and areas were being temporarily used for inpatient activity. This was in line with a planned escalation plan put in place earlier after it became obvious that flu activity would this year “hit the islands hard”. He commended hospital employees for their commitment and dedication to patient care, which made it possible for the hospital to maintain operational continuity even during such challenging periods. The hospital sources told the Times of Malta the increase was seasonal, with the numbers doubling when compared to the daily average. Consultants would usually see 20 to 25 new admissions every day, but over the past two days, this had grown to 45 to 50 patients. But there was also a progressive increase from one year to the next, with the number of daily admissions per consultant in the past rarely exceeding 40 at this time of year. Most of those admitted with respiratory infections over the past couple of days were elderly and frail people suffering from chronic diseases, the sources noted. A spokeswoman for the Health Ministry pointed out that as the temperatures dropped, influenza and common colds became more prevalent. To prevent the spread of flu and the common cold, it was important to avoid close contact with people who had the flu, wash one’s hands frequently using soap, respect the cough etiquette and stay at home if unwell. The elderly have a greater risk of developing severe complications such as pneumonia. In addition, they are more likely to have chronic and underlying diseases that reduce their resistance to infection. Their immune response may also be less effective. Very young children are more prone to being infected because they will have not developed immunity to the virus. Healthy pregnant women were at increased risk of becoming hospitalised due to respiratory illness during the influenza seasons, the spokeswoman noted.